When you’ve been harassed or sued by a collection agency, debt collector or debt buyer, it’s important to know that there are lawyers whose practices focus in this area of the law. By hiring an experienced lawyer, consumers can fight back – and without cost. Chances are that if you’ve been harassed or sued, you’ve already spent more time than you would like fighting with collection agencies, debt collectors and debt buyers (private companies that purchase consumer debt inexpensively and then do whatever it takes to collect). 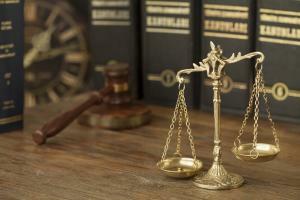 So, when is it time to contact a lawyer to act on your behalf? I like to be contacted right after the first harassing phone call or right after they've been served with a lawsuit. The reason is that there may be things I can do to shore up the case. These are often he-said, she-said types of situations – which is why it’s important to document and to document right away. Sometimes we get phone records from the collectors and find out that they’ve made a phone call every three minutes for two hours. They’ll deny it, but unfortunately for them, the records show that that's exactly what they did. Debt buyers are also only concerned with how much money a collector brings in. They aren’t concerned with the collector’s reputation. I saw one deposition where the debt collector had an eighth-grade education and a couple of felony convictions. [I]t's important to get a hold of a lawyer right away because one of the things that I tell a potential telephone harassment client is that I want them to talk to them the next time they call to give them an opportunity to do this again. We’ll take notes and maybe have someone else standing by the phone that can overhear part of the conversation. Some states allow you to record conversations, others don’t. So, you have to be careful about whether or not the conversation is recorded without telling the other party. I'll tell you what I find. A lot of times debt collectors are recording conversations whether they can or can't and they're not telling you. They're violating statutes that provide for $5,000 in damages for every single recording that they make illegally. Illegal recordings are a very common practice with debt collectors. The attorneys for the debt collector serve a lawsuit. The debtor calls up and says, ‘Hey, I need to resolve this. I can't have a lawsuit. I can't have you going to my employer with a wage garnishment.’ The debt collection attorney agrees to stop the lawsuit, but insists that the debtor pays X number of dollars per month and that the money must be made via an automatic withdrawal from his account. The debtor has no choice, agrees to it and has the money taken from his account each month. However, after four or five months, all of a sudden, the debtor gets a notice of an entry of judgment on the lawsuit. They went forward with the lawsuit anyway! If you’ve been sued or harassed by a debt buyer / collection agency, contact an attorney whose practice focuses in this area of the law to discuss your situation. Consultations are free, without obligation and strictly confidential.